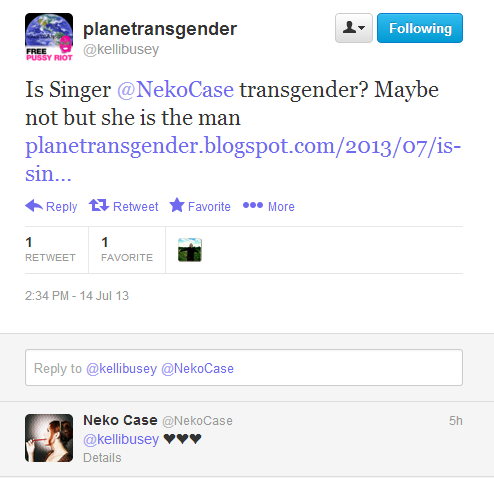 Neko Case indie country singer and song writer’s hard driving lyrics from her new album would make one wonder. That and the hyper machismo cigarette smoking horse and the albums title which is easily relatable with the struggle of gender transition..
‘The Worse Things Get, The Harder I Fight, The Harder I Fight, The More I Love You.’….I’m a man its what you raised me to be..it’s not an identity crises…..
…in that when we begin struggling to release the facade we hid behind and obtain and display our true selves it seems as if things couldn’t be worst, but as time goes on we find we love who we truly are more and more. More at Neko’s second NPR interview, first NPR interview, and The Slate.